Hibernian’s squad numbers for the 2015/16 Ladbrokes Championship season have now been confirmed with Scott Allan handed the number 10 jersey; previously worn by the likes of Eddie Turnbull, Alex Cropley and Derek Riordan. 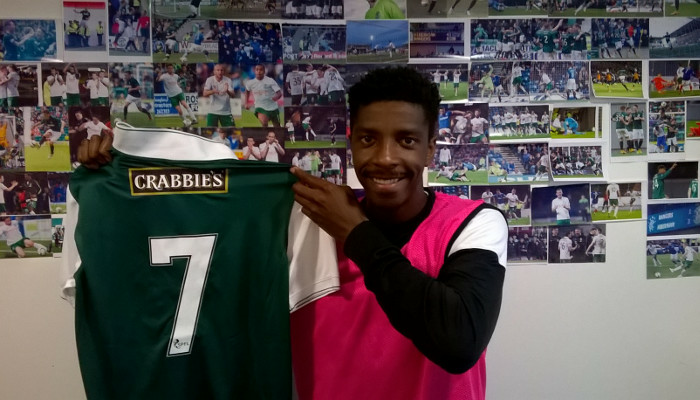 New signing Marvin Bartley occupies number six, striker Dom Malonga will wear number seven (previously worn by all-time great Gordon Smith) and midfielder Fraser Fyvie becomes number eight. The squad is now set to face Dunfermline Athletic at East End Park tomorrow (18 July, kick off 3pm, admission £10, £5). Are you on board for the journey ahead – commit now to a 15/16 season ticket and add the Cup top up (£50/£30 for all home Cup ties).